ICM Project Proposal: Mapping jailed journalists. For my final ICM project, I intend to design an interactive map that flags countries where freedom of speech is under attack. Taking data from the year 2015, I will show where journalists were imprisoned around the world. Last year, the Committee to Protect Journalists (CPJ) published a comprehensive list of journalists who were imprisoned around the world in 2014 and their perceived offense against their country’s government. Here is a test map of the MENA region that I began designing a few weeks ago. It’s based on data from Global Voices’ Digital Citizen bi-monthly newsletter about journalists who are imprisoned for the things they post online. The broader question for me is about how the internet is being used in the Arab world. To no small degree, the spike in internet use and monitorial tools like Periscope and Twitter have empowered activists across the region to organize into collectives to fight abuses of power. The protests in Cairo’s Tahrir Square during the Arab Spring, for instance, were organized and promoted on simple social networks like Twitter and Facebook. In a very optimistic 2005 academic paper “The Internet in the Arab World: Playground for Political Liberalization,” Albrecht Hofheinz suggests that the internet will expand the possibilities of what can be said in public spaces and usher in a new era of liberalization in Middle East countries. While we have witnessed major strides towards greater transparency and democratization in the region due to the internet, there is still a long way to go. Most shockingly, in recent years the internet has been wielded as a tool for authoritarian regimes to discipline those individuals who are doing the very critical work of reporting human rights abuses as they are occurring. Not only is censorship at an all-time high in many of these countries, but many governments are seeking to pass new cybersecurity laws that would sanction the arrest of journalists speaking out against the government in online spaces. With my project, I hope to not only visualize where these abuses are occurring, but I would like to give them a name and a face. I would also like to explore the legal statutes and cybersecurity laws that are governing how governments are using the internet in the Middle East. Are these actions sanctioned by the laws? Are lawmakers paying attention to the internet? How will the relationship between the Internet and the Arab world evolve in the coming years? The Guardian’s interactive map of the Arab Spring, published in 2011. Muftah’s interactive graffiti map that tells the story of the Arab Spring through graffiti art. 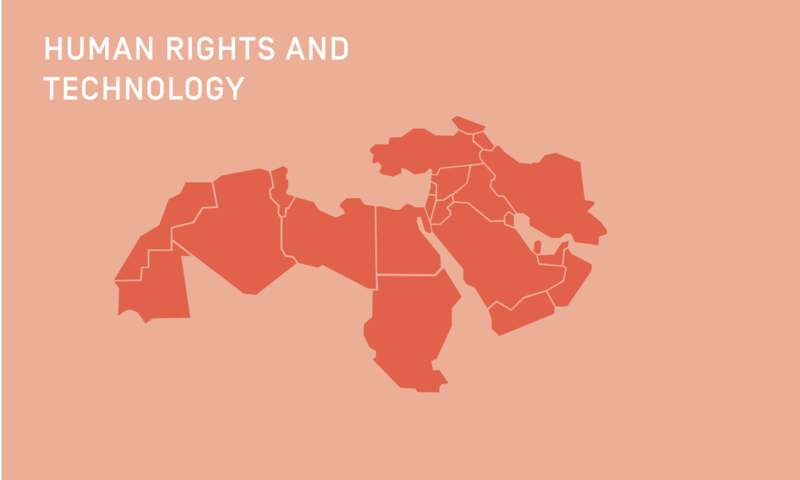 Mapping Iran’s human rights in an interactive map.